Another Humpback calf was recorded on the 5th of July which is fantastic as we are seeing more and more every week. However, over the weekend we sadly lost one calf who had become entangled in shark nets off Broadbeach. 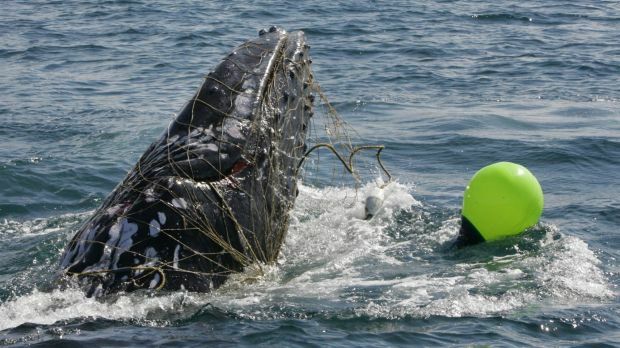 There is much discussion every year about the use of shark nets and how detrimental they are to other marine life, including our protected Humpback Whales, dolphins, turtles and rays. Each whale watching season we see whales become entangled in these nets, we hope that there will be an alternative method of protecting swimmers in the very near future as we do not want to see any more marine life being killed in such a silent but deadly manner. To end the update on a brighter note, surveys recorded a very close encounter with a Humpback whale on the 2nd of July, a green turtle breathing on the surface and 10 playful dolphins who put on quite a show for all customers on board Whales in Paradise. And of course, to sign the petition to end the use of Shark Nets on the Gold Coast, click here..